Bagaimana Membuat Belian di www.qissara.com? 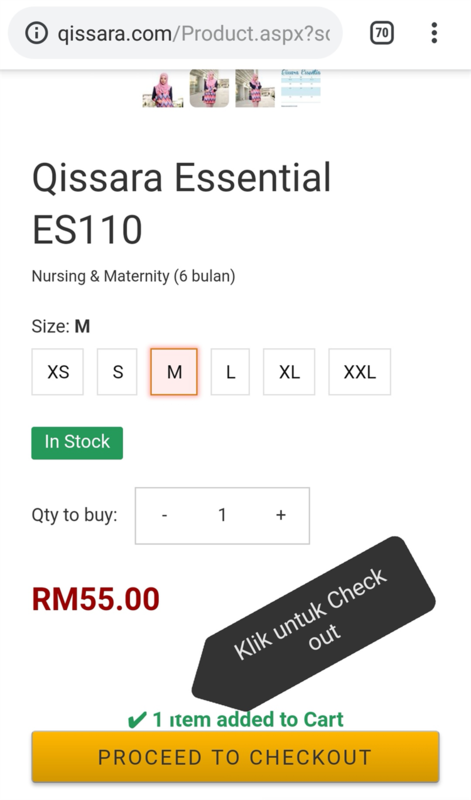 How to place order in Qissara.com? Selepas proses diatas, senarai produk dan harga produk yang ingin dibeli akan tertera. Check item and quantity are correct. If you have a discount code ( which usually given during promotion period), key in discount code to get desired discount. Choose shipping method. Shipping calculated automatically according to weight of item and destination of parcel. For first time customers, you may have to key in your address before shipping can be calculated. 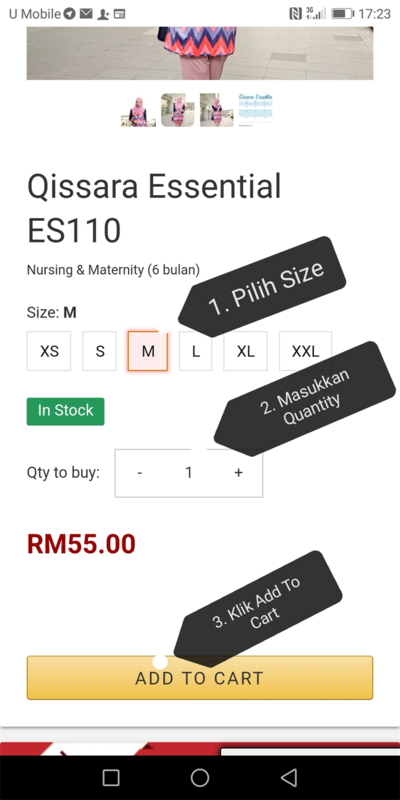 Jika memilih 'self collect', HQ di Putra Heights, Subang Jaya, whatsapp +60182394830 untuk tetapkan masa temujanji untuk mengambil barang. If self collect method chosen, item can be collected by hand at Putra Heights, Subang Jaya after 24-48 hours of order. Do Whatsapp +60182394830 to set appointment for collection. Klik 'continue' dan masukkan alamat. Click 'continue', you will need to confirm shipping address, you can change shipping address if needed. Semua online transfer / bayaran guna kad kredit adalah TANPA CAJ. You can use ONLINE BANK TRANSFER/ Credit Card without extra charge. Pilih manual payment jika ingin transfer bayaran kemudian. 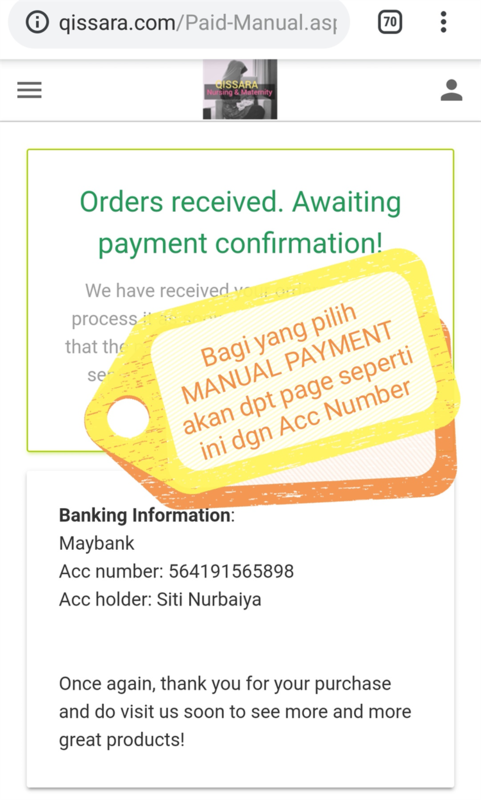 You can even pay offline, when you choose manual payment, you will see (on the screen) and receive an email with Maybank account number for you to make payment manually. Sekian panduan membuat order, HAPPY SHOPPING! !